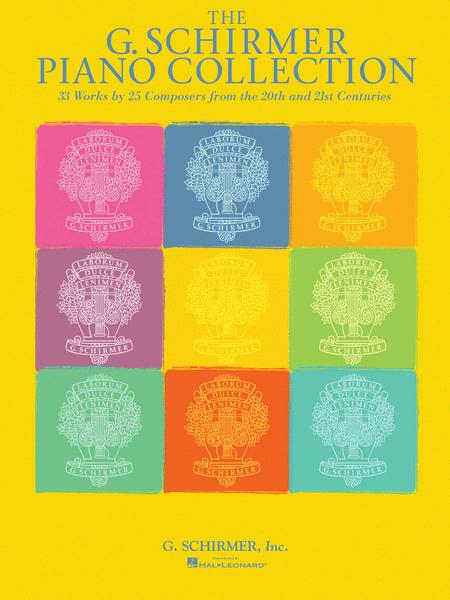 This collection features piano works by prominent G. Schirmer composers, including: Adams, Barber, Cowell, Dello Joio, Harbison, Kabalevsky, Khachaturian, Prokofiev, Shostakovich, Tan Dun, and others. Includes previously unpublished first editions by John Corigliano and Gabriela Lena Frank. Suitable for advanced high school and college-level pianists. Contents: ADAMS: China Gates • ANTHEIL: Sonatina (Death of the Machines) • Toccata No. 2 • BARBER: Ballade, Op. 46 • Interlude I • Interlude II • BLOCH: Poems of the Sea: I. Waves, II. Chanty, III. At Sea • BOULANGER: Trois Morceaux Pour Piano • BRUBECK: Dad Plays the Harmonica • CARPENTER: Danza • CHAVEZ: Estudio a Rubinstein • CORIGLIANO: Il January 3, 2008 • COWELL: Ostinato No. 2 (Set of Four) • DELLO JOIO: Suite for Piano • DORMAN: Prelude No. 1 • FRANK: Barcarola Latinoamericana • GRIFFES: The White Peacock, Op. 7, No. 1 • HARBISON: Gatsby Etudes • HOIBY: Nocturne, Op. 6 • KABALEVSKY: Four Preludes, Op. 5 • KENNAN: Three Preludes • KHACHATURIAN: Toccata • MUCZYNSKI: Six Preludes, Op. 6 • PROKOFIEV: Prelude, Op. 12, No. 7 • Suggestion Diabolique, Op. 4, No. 4 • W SCHUMAN: Three-Score Set • SHOSTAKOVICH: Three Fantastic Dances, Op. 5 • DUN: Eight Memories in Watercolor: Ancient Burial, Op. 1, No. 6 • Staccato Beans, Op. 1, No. 2 • Sunrain, Op. 1, No. 8 • TCHEREPNIN: Bagatelle, Op. 5, No. 1 • Bagatelle, Op. 5, No. 5 • Bagatelle, Op. 5, No. 7.